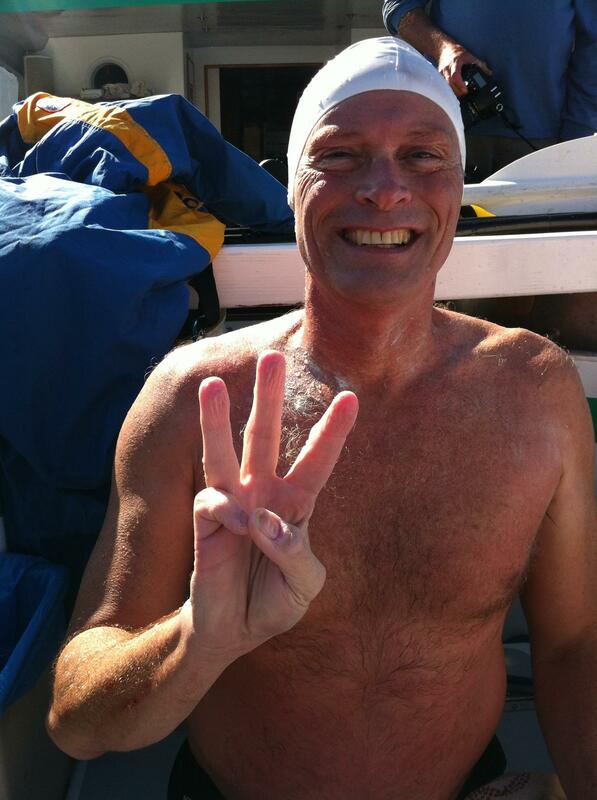 Big congratulations to Ned Denison on completing his Catalina Channel swim today in an unofficial time of 8 hours and 50 minutes. In completing this swim he became the second Irish person to have competed the Triple Crown, which consists of the English Channel, Manhattan Island Marathon Swim and the Catalina Channel. Well done Ned! This entry was posted in Achievements, Sandycove Swim Club. Bookmark the permalink.